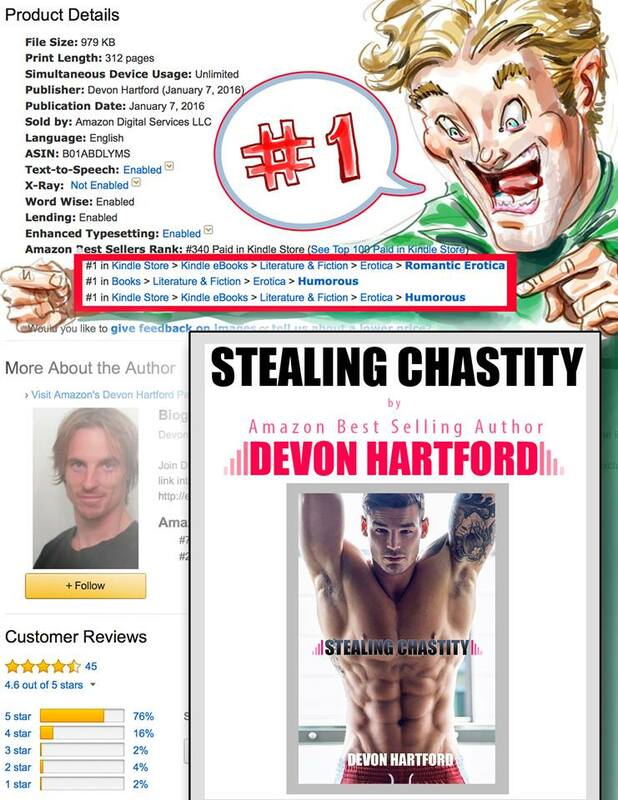 Stealing Chastity is #1 in Romantic Erotica on Kindle!!!! It’s also #1 in Humorous Erotica on Kindle. Would you like a chance to win a SIGNED PAPERBACK copy of Stealing Chastity so you can find out just how steamy and funny the book is? To be eligible, tell your friends. Spread the news around town and tell me you did below. Stealing Chastity is FREE to read on Kindle Unlimited.